COLUMBUS — AAA predicts the highest Thanksgiving travel numbers since 2005, with 50.9 million Americans — including more than 2.1 million Ohioans — planning to travel at least 50 miles from home between Wednesday, Nov. 22 and Sunday, Nov. 26. This is a 3.3 percent increase nationally (3.5 percent in Ohio) from last year. 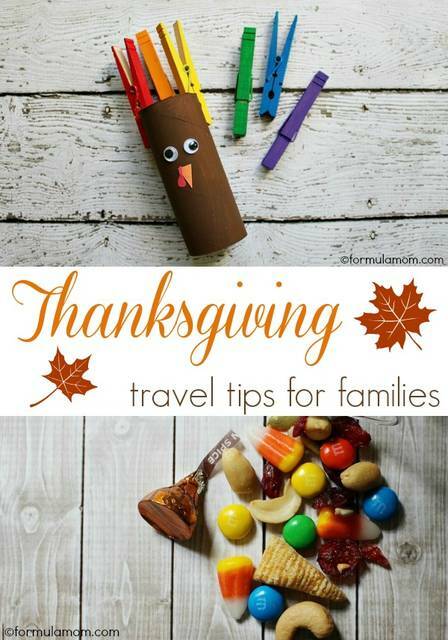 “Thanksgiving kicks off the start of a busy holiday season, and more thankful Americans will travel to spend time with friends and family this year,” said Bill Sutherland, AAA senior vice president, Travel and Publishing. A strong economy and labor market are generating rising incomes, enabling a confident consumer to spend money on travel. This year’s Thanksgiving travel predictions are 35 percent higher than in 2008, during the recession. Higher gas prices won’t keep motorists off the roads this holiday. More than 89 percent of travelers will drive to their holiday destination. With 1.5 million more Americans on the road this year (61,000 more Ohioans) travelers should expect crowded roads, especially during peak travel times – late afternoon and early evening on Tuesday and Wednesday. To accommodate the increased traffic volume, the Ohio Department of Transportation will be reducing the size and scope of active work zones as much as possible. Motorists should pay extra attention when driving through work zones and plan ahead for delays in those areas. In addition, the Ohio State Highway Patrol is reminding motorists to buckle up, never drive impaired and always follow traffic laws. Last year during the Thanksgiving holiday weekend, nine people died from crashes on Ohio’s roadways. Five of those fatalities were the result of an impaired driver and six were unbuckled. Troopers will have an increased presence on Ohio’s roadways to promote a safe Thanksgiving holiday. Motorists should also take time to prepare their vehicles and plan ahead for holiday travel. AAA expects to rescue more than 330,000 motorists this Thanksgiving weekend for dead batteries, flat tires, lockouts and more. Just under 4 million travelers, including nearly 165,000 Ohioans, will fly this holiday. This marks an increase of 5 percent nationally and 6.1 percent in Ohio and is the sixth consecutive year of air travel growth. Those flying will pay the lowest average airfare since 2013, according to AAA’s Leisure Travel Index. A round-trip ticket on the top 40 domestic flight routes will cost an average of $157, which is 23 percent less than last year. Rates for AAA Three Diamond lodgings will increase 14 percent to an average of $176 per night. Conversely, the average rate for AAA Two Diamond Rated hotels will decrease 5 percent to an average of $117 per night. Car rental rates will rise 34 percent this Thanksgiving to their highest level since 2013, with the average daily car rental costing $70 per day. This increase may be attributed to a rise in domestic demand and cost of newer vehicles in the fleets with added features and benefits. Car crashes remain the leading cause of death for children. Proper use of child safety seats greatly reduces the likelihood that a child will be killed in a crash, but roughly three quarters of child safety seats are used incorrectly. That’s why it’s important for parents and caregivers to get their children’s car seats checked before the long holiday car ride. For a list of AAA stores that offer free car seat checks, visit AAA.com/ChildSafety. Know the TSA regulations regarding formula and juice, located at TSA.gov. Know the seat requirements for toddlers: For most airlines, children 2 years and older are required to have their own seat. If bringing a car seat, check with the airline and make sure it’s approved for use on an aircraft. Come prepared with the following: snacks, books or games, and changes of clothes. Talk with your children before the trip to prepare them.